Next Sunday at 4:30 PM as part of the Coney Island Museum's "Ask the Experts" Series, Evan Michelson--co-proprietor of Obscura Antiques and Oddities and Morbid Anatomy Library Scholar in Residence--will be giving a reprise of her popular "Culture of Curiosity" lecture, which some of you might have seen at Observatory last November. If you missed it the first time, or were made curious enough [sic] about the topic to want to know more, do yourself the favor of heading down to Coney to hear Evan wax poetic [sic] in a new and expanded discussion of "the continuing appeal of curated chaos in the home." Full details follow; very much hope to see you there! From humble parlor to Princely treasury, the Culture of Curiosity has endured for hundreds of years. In equal parts uncanny obsession, camp statement, melancholy musing, frivolous commentary and timeless metaphor, ultimately it's all about mystery. Come and join Evan Michelson (Morbid Anatomy Scholar in Residence) in an exploration of the continuing appeal of curated chaos in the home. Evan Michelson is an inveterate collector and museum aficionado. She has spent a lifetime obsessing over specimens, lurking in crypts, touring necropoli and gathering information on all things fading from the collective memory. For about two decades Evan was in and out of various aggressively confrontational/decadent bands. 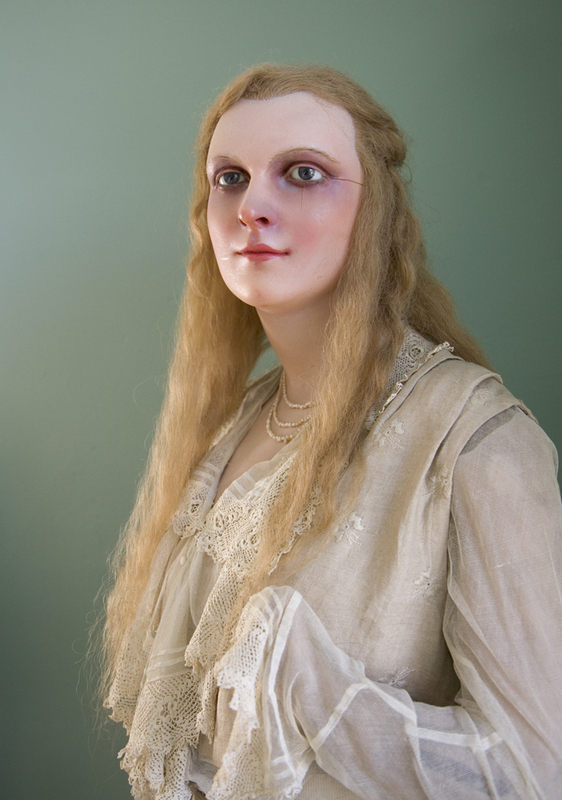 She is currently co-owner of Obscura Antiques and Oddities, and Scholar-in-Residence at the Morbid Anatomy Library. She lives in Victorian excess with her husband, a few pets, and many esoteric and uncanny objects. You can find out more about the event by clicking here. Hope to see you there! The above photo is a Wax Department Store Mannequin from the Early 20th Century from Evan Michelson's incredible home collection, as seen in my recent exhibition The Secret Museum. You can find more images of her collection here.